Kobe Bryant is a five-time NBA Champion, two-time Olympic Gold Medalist, NBA MVP, two-time NBA Finals MVP, 15-time All-NBA player, 18-time NBA All-Star and the NBA’s 3rd all-time leading scorer. To start building his post-basketball career, Bryant formed Kobe Inc. in 2013. Kobe Inc. is a multi-media content creation company focused on helping athletes learn the process of excellence and maximizing potential. Kobe Inc. has launched several film projects including Kobe Bryant’s Muse documentary film, Dear Basketball animated short film, and the six-episode Canvas series. Bryant served as creator and executive producer for all projects. Bryant’s investment platform, Bryant Stibel, provides strategic, financial and operational support to entrepreneurs and their companies, with a focus on the convergence of technology, media and data (TMD), as well as in industries such as sports and wellness, where TMD has the potential to create massive opportunities. Off the court, Bryant has dedicated his philanthropic passion to a variety of causes benefitting children in need. 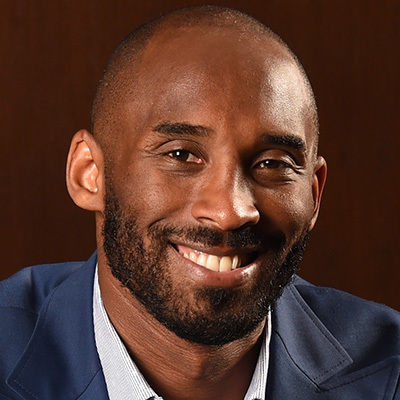 In 2006, he launched the Kobe and Vanessa Bryant Family Foundation to improve the lives of young people though access to sports, mentorship and economic empowerment. In 2009, Bryant partnered with the Soong Ching Ling Foundation to create the Kobe China Fund dedicated to the welfare and education of youth in China. Provocative conversations with celebrity entrepreneurs who followed their passion in content creation, media, and sports.